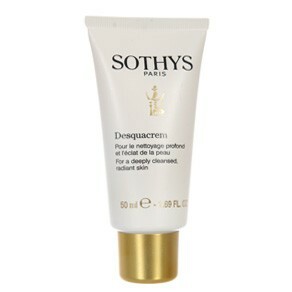 Desquacrem is the ideal way to deeply cleanse pores once or twice a week. This granule-free emulsion gently eliminates deep impurities and dead cells. Desquacrem is the ideal way to deeply cleanse pores once or twice a week. This granule-free emulsion gently eliminates deep impurities and dead cells. Highly effective at dissolving sebum and facilitating the removal of blackheads. It respects your skin's vital equilibrium while adding clarity and brightness to the skin. Improves skin's ability to breathe by getting rid of accumulated cells and allowing new cells to regenerate. A recommended beauty treatment for all beauty regimens and skin types.